Riding a bike can be fun and one of the best forms of exercise but when a collision occurs, it can result in serious injury and death. Almost all serious bicycle collisions involving autos are right-of-way violations where a motor vehicle fails to yield to the slower bicycle. Cyclists are not always the easiest to spot and while these collisions are seldom intentional, they usually can be traced to the driver’s negligence in not paying attention. One of the mistaken notions surrounding bike crashes is the common misconception that cyclists have no rights on the road. 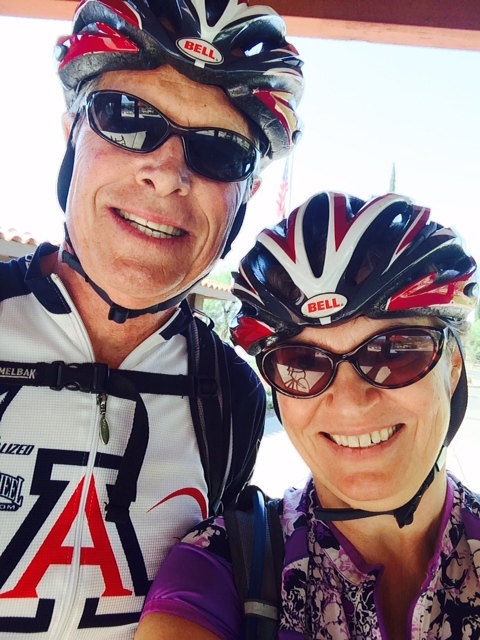 William Bache and Frances Lynch both cycle in Tucson, Arizona on a regular basis. Yes, even in the heat! Our lawyers know that cyclists have the same rights as motorists. We are committed to investigating every bike collision case to make certain our clients are treated fairly under the law. If you’ve been injured in a bicycle collision you have the right to just compensation, the best available medical attention, and the highest quality legal representation in Tucson, Arizona. Bache and Lynch have recovered millions of dollars in damages and awards for clients — included among them were many injured bicycle clients. We know how to get results for each injured bicycle client with thorough investigations, aggressive negotiations with insurance companies, and, when necessary to win fair compensation for an injured client, effective litigation. Our lawyers have the additional advantage of understanding what it means to be vulnerable on a roadway as a cyclist.